Saturday 4th May at 19:30 The Gate Arts Centre Keppoch Street, CF24 3JW. Amalgama Greek Band. A band from London playing traditional Greek music, featuring two fantastic singers who play Greek lute and guitar, alongside with a brilliant bouzouki player. Half entrance fee (£5) for SWGS members. 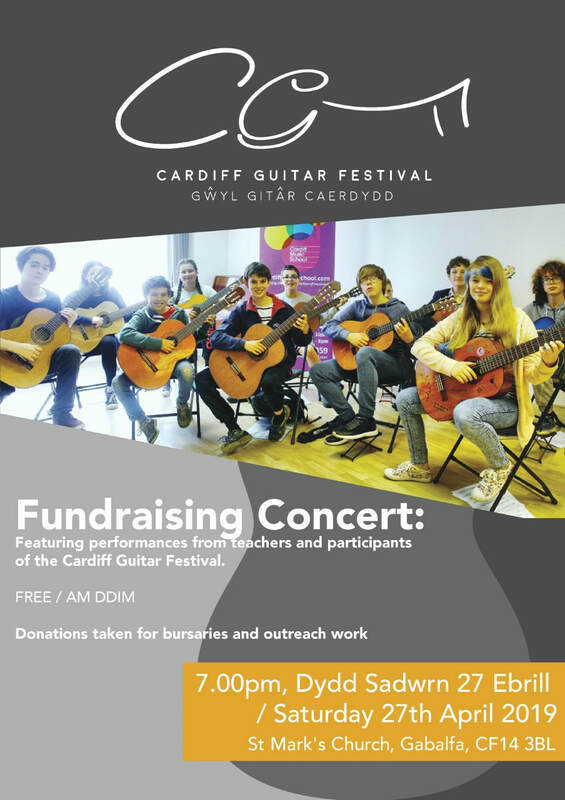 Cardiff Guitar Festival Fundraising Concert. That's on North Rd, please drive slowly when you see it, it is very easy to drive past the entrance! Our annual fundraising concert is on! Please come and support your fellow members who are working so hard for this. Bring your friends along as well! Please check the poster at the bottom of this Page for details. See you all there! ​Members to play as normal. This is your opportunity to rehearse your pieces for our fundraising concert next month! Time for some extra practising our friends! ​Members to play as normal. Christmas meeting! Members are welcome to play as normal, provided that you wear a Christmas hat (we will have spares in case you don't have one). Christmas nibbles for sharing are more than welcome! See you there! AGM meeting, please try to attend, we need everyone's input for this one! We'll try to keep is short so we can have our members to play as well. Regular Meeting, members to play.